Not every type of siding is best for homes and businesses, which means that you should do some proper research before you make your final decision. What is good to know is that every kind of siding comes with certain advantages and disadvantages. In the recent period, many people are wondering whether they should use aluminum siding or composite siding. By learning more about the advantages and disadvantages of both of these options, you should be able to find the siding that is suitable for your home or building. Aluminum siding includes vertical and horizontal panels which means that you can design the final appearance in any way you want. In addition, aluminum is a great insulator and you save a lot of money on cooling and heating. When we talk about saving money, it is also good to mention that this type of siding is easy to install which mean that labor cost is lower, too. Aluminum siding also seems to be resistant to almost any climate. Things like moisture and salt spray don’t affect its properties. This material is waterproof and owners can’t expect formation of mildew and mold on it. On top of that, aluminum siding is insect-proof and recyclable. Of course, this siding option comes with certain downsides like the fact that aluminum siding is more prone to dents, and when you need to replace one panel you will have to change few others because of the color shades. In addition, it is very easy for aluminum to get scratched. When it comes to composite siding we must mention that this is a very affordable option and many people find composite siding visually more appealing than aluminum siding. This option also comes with a huge range of colors and materials. These materials are not prone to fading and you won’t notice peeling even in very wet areas. A typical composite material includes plastic polymers and wood fibers and some of them also include fiber cement. The only disadvantage is the probability to experience mold and fungus because many composite siding options come with high moisture content. 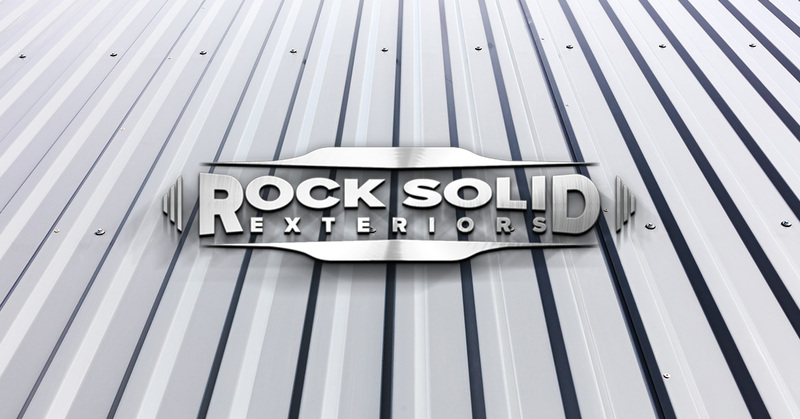 To learn more about the different types of siding and which would be best for your home, business and pocketbook, contact the roofing contractors and siding experts at Rock Solid Exteriors for a free consultation! If you your home or business already has aluminum or composite siding and you are looking for roof repairs or roof maintenance, contact them today and they will assist you with any project you need. They also offer 24/7 emergency roof repairs!